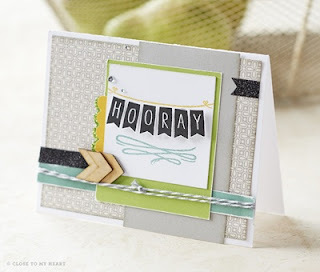 Welcome to the New Product Blog Hop! We will be featuring many of the great new products that can be found in the NEW Autumn/Winter Idea Book. If you have came here from Jean's Blog, you are on the right path. The blog hop is a great big circle, you can start here and work your way around. If you get lost along the way, you can find a complete list of participating consultants here. My new artwork will be posted later this evening, until then please continue on to Lucy's Blog! wonderful card- love the color combo. Sweet little card. Love the color combo.